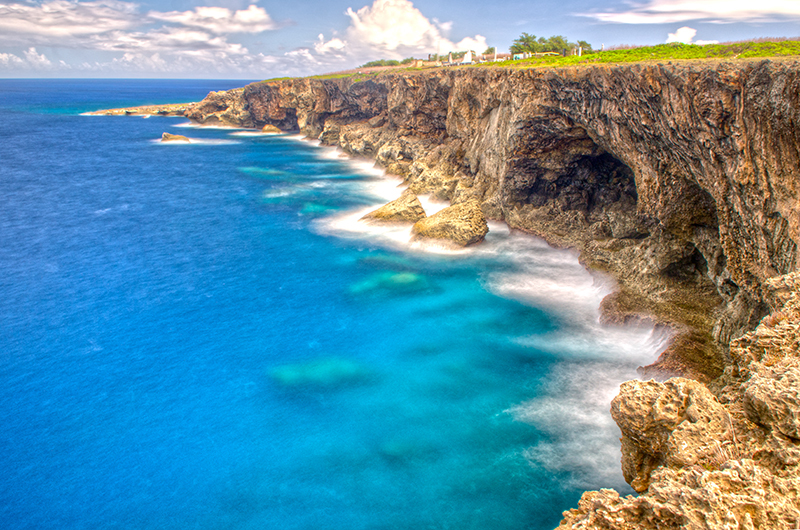 A view of Banzai Cliff, Saipan. During WWII, Banzai Cliff was one of the last points of retreat for the Japanese. When the Americans took over the island, they started from the South working their way towards the Northern part of Saipan. Instead of choosing to surrender, a large portion of the Japanese military jumped off this specific cliff to meet their end. Fast forward 50 years, you can see where the ancient limestone cliffs meet the fluid ocean. During the Winter time, the ocean can be very treacherous with huge waves that pound against the cliff side. If your by the edge, you can literally feel the power of Mother Nature.